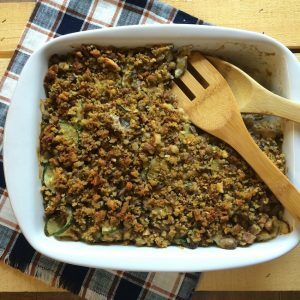 The Garden Veggie Zucchini Squash Casserole Recipe is filled with all your favorite summer veggie, zucchini squash and is the perfect dish for picnics, church get togethers, or potluck dinners. Happy National Zucchini Day: Zucchini seems to be everywhere in the summer month because it is so easy to grow in your own garden. Below are some creative ways to use up all that natural bounty. It is delicious grilled, roasted, or made into a fresh batch of zucchini bread. Zucchini is also the perfect low-carb pasta replacement and can be used as spaghetti, lasagna and more. With summer coming to an end and your garden filled with zucchini squash, what better way to say goodbye to summer’s end than with a Garden Veggie Zucchini Squash Casserole Recipe. It’s easy to make and it’s a dish that everyone loves. and drain with slotted spoon, reserving renderings in skillet. 2. Saute sliced zucchini, diced onions, and sliced mushrooms in sausage renderings until slightly tender. 3. Mix sauted veggies, cooked sausage. 3/4 of stuffing, and remaining ingredients. 5. Mix remaining 1/4 of stuffing with melted butter and sprinkle on top of casserole. 6. Bake at 350 degrees Fahrenheit for 30 minutes. The Garden Veggie Zucchini Squash Casserole Recipe is filled with all your favorite summer veggie, and is the perfect dish for picnics or potluck dinners. Brown sausage in a skillet and drain with slotted spoon, reserving renderings in skillet. 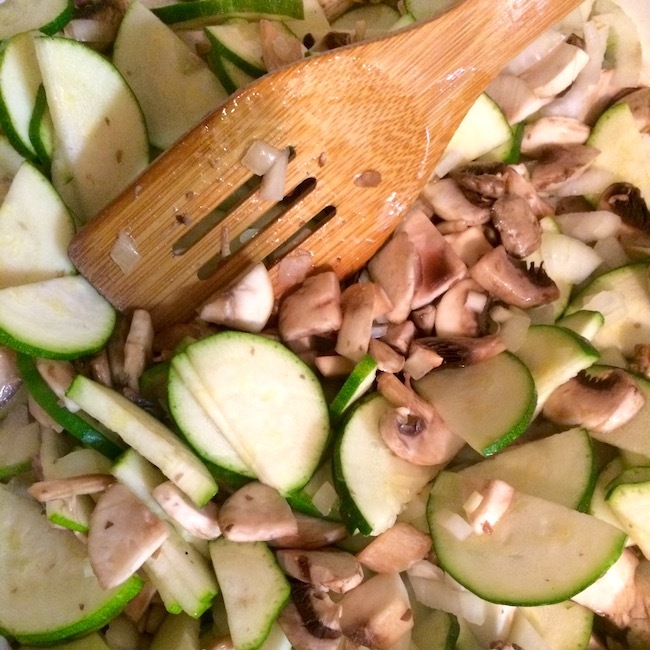 Saute sliced zucchini, diced onions, and sliced mushrooms in sausage renderings until slightly tender. Mix sauteed veggies, cooked sausage. 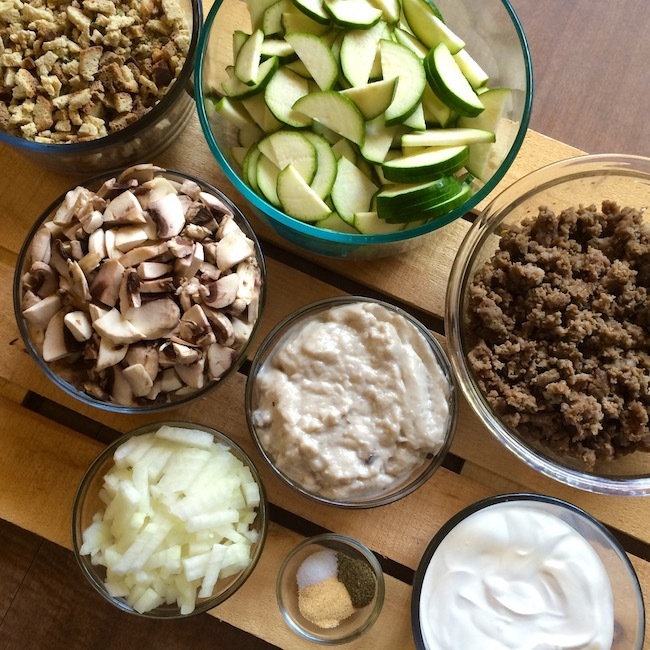 3/4 of stuffing, and remaining ingredients. Mix remaining 1/4 of stuffing with melted butter and sprinkle on top of casserole. 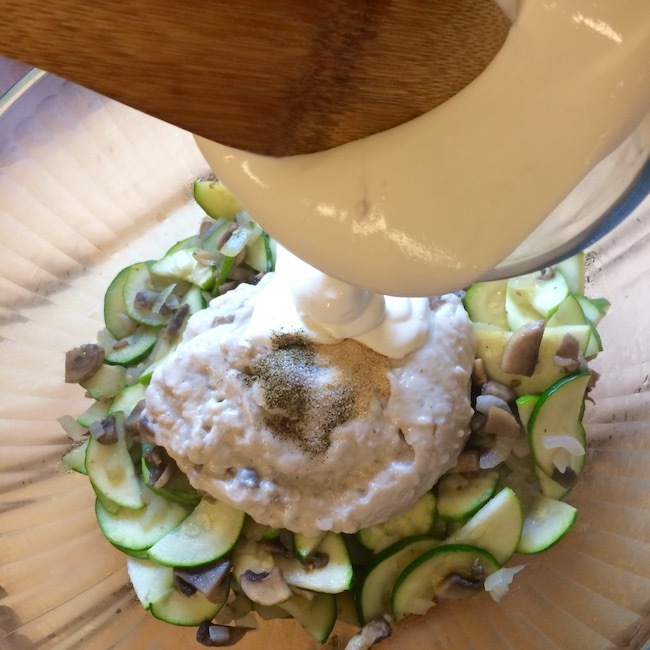 Check out these awesome recipes from some of my blogger friends. Chocolate Zucchini Pancakes from Strength and Sunshine. Gluten Free Zucchini Chocolate Chip Muffins from Delightful Adventures. 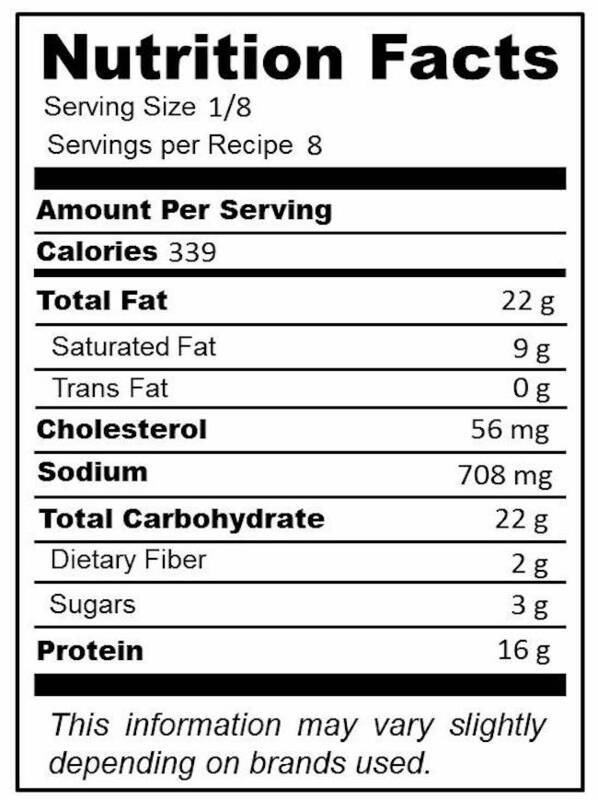 Crispy Baked Zucchini Fries from Know Your Product. Paleo Shrimp Zoodles from Kids in the Kitchen. Be sure to check out our most popular recipes like Chicken Pot Pie recipe, Air Fryer Chicken Wings recipe, Air Fryer Taquitos recipe and so many more.